Paslode is a division of ITW Construction Residential Division specialising in innovative nailing systems with an extensive range of gas and pneumatic solutions since 1935. Our brief was to design a new website, produce accompanying visuals and engaging messaging to reposition the brand as the tool of choice in the consumers’ mind and to ensure that the brand is appealing to the end-user. Over 2 days, Red Crayon shot on location during varying stages of construction to capture the tools in real life situations. 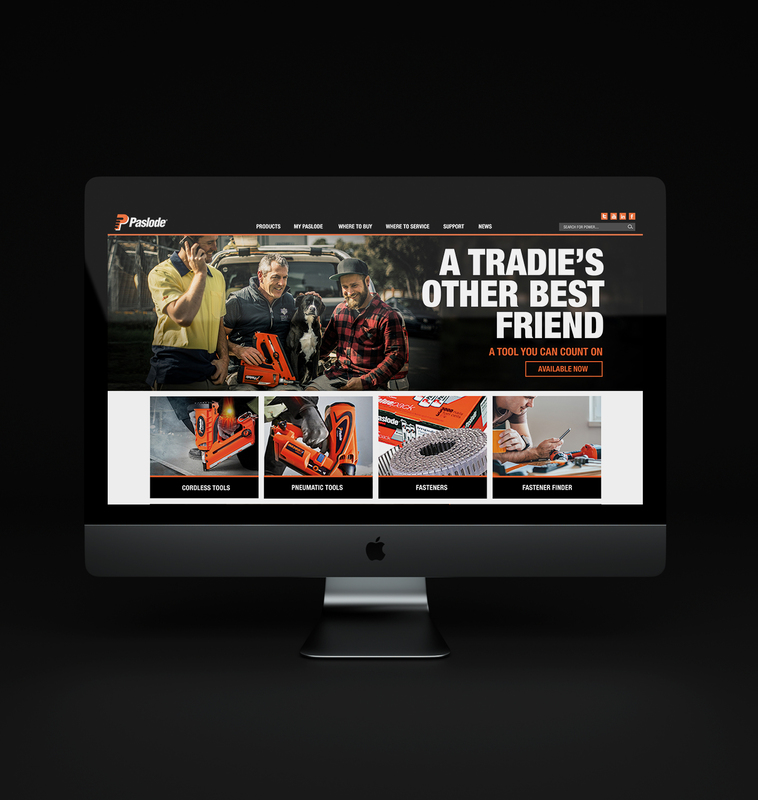 These shots were supplemented with studio photography to create a series of banners around a centralized theme of celebrating the tradies and acknowledging them for a job well done, done right every time. A visually engaging, easy to navigate high impact website was launched catapulting Paslode into the mind of the consumers.